Intergral Magnets in grabber ends. Can also be used around the garden and home. 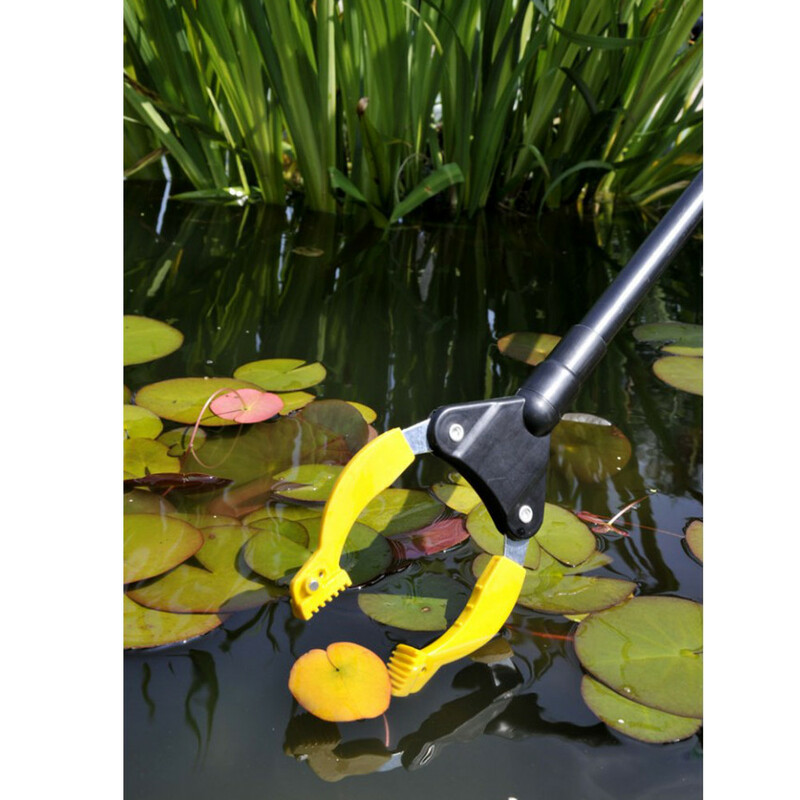 Hozelock Pond Grabber, the perfect tool for pond and garden use. The Hozelock Pond Grabber is a simple to use tool for use around the pond and garden. It is ideal for removing unwanted litter and debris from the pond surface or for grabbing items that may have fallen below the surface. The grabber has an easy to use simple trigger system which secures the rubber gripper pads firmly onto the unwanted item. The grabber has a total length of 90cm and has a twist and lock mechanism which allows the head to be used vertically or horizontally. The grabber also has an intergrated magnet in the grabber pads enabling you to clean unwanted metal and use the pole around the garden and even the garage.